All six are leadership members within the 2009 Congressional Black Caucus. The caucus, founded by one time card carrying member of the Communist Party, U.S. 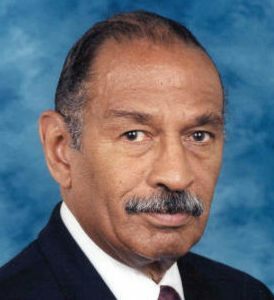 Congressman John Conyers, Jr. of Michigan, has 42 members as of today, 30 of which are also members of the Congressional Progressive Caucus. The Congressional Progressive Caucus is the official legislative arm of the Democratic Socialists of America, boasting 76 congressional members today, 30 of which are also members of the Congressional Black Caucus. America is being systematically stripped of its freedom and liberty, and shoved into global secular socialism right before your eyes, and the average American seems completely unaware and disengaged. Brack Hussein Obama with blank résumé and a past so secret that he still refuses to release his birth or college records, a man known to have a life filled with highly questionable friends, has grabbed control of the banking industry, the auto industry and the energy industry, while working on grabbing the health industry and nationalizing full federal control of the US economy. Private earnings and assets are under attack, the stock market having lost more than 30% of its value, homes loosing more than 20% of their value, as unemployment and home foreclosures continue to sky-rocket. 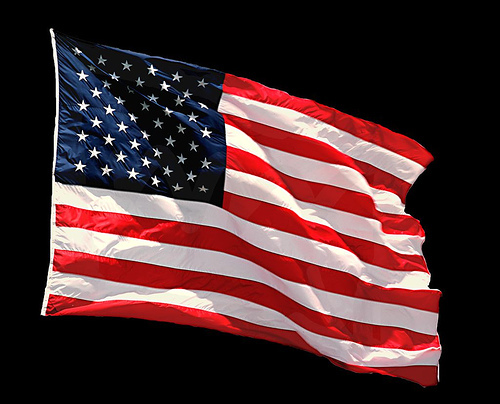 Personal freedom and individual liberty are also under attack at every turn, and despite all of the undeniable evidence, the average American has yet to connect the dots. Both the Communist Party and Socialist Party have actively existed in America since the early 1900’s. But they had little success working outside of America’s strong two party system, winning only local government offices once in a great while. Socialists were influential in the leadership of some major American Federation of Labor (AFL) unions, as well as in independent unions such as the Amalgamated Clothing Workers. Socialist radicals in the Industrial Workers of the World (IWW) pioneered in the organization of unions among immigrant workers in mass production industries. Socialists were among the founders of the National Association for the Advancement of Colored People (NAACP). The ideas of the Socialist movement attracted a growing following on college campuses, in church groups, and in the settlement house and women’s movements. The key to the Socialist Party’s success in the 1910s was unity in diversity. Communists were influential in drives to organize the auto, steel, electrical, and longshore industries, among others. While neither Socialists nor Communists were able to replicate the electoral successes of the Debsian era, the Socialists were able to attract a million votes for Norman Thomas, their Presidential candidate in 1932. Running in the Democratic primary, the Socialist novelist Upton Sinclair captured the Democratic gubernatorial nomination in California in 1934. DSOC continues to operate, in the old Socialist or Communist manner, as the left-wing of the New Deal coalition, clearly now not as a separate political party, but as an explicitly socialist force within the Democratic Party and the labor movement. I strongly recommend that you take time to read the entire history of the Democratic Socialists of America, because this is who is currently in full unbridled control of the United States in Washington DC. (DSA History here – http://www.dsausa.org/about/history.html) For a time, this group operated under the political title of the New Left, then just the New Party. Barack Obama ran for Illinois state office on the New Party ticket and failed before moving to the Democrat ticket with an endorsement from the New Party, and winning. The New Party was a Marxist political coalition whose objective was to endorse and elect leftist public officials — most often Democrats. Most New Party members hailed from the Democratic Socialists of America and the militant organization ACORN. The party’s Chicago chapter also included a large contingent from the Committees of Correspondence, a Marxist coalition of former Maoists, Trotskyists, and Communist Party USA members. Why today’s Democrats seem more like communists than classic liberals? Today’s Democrat Party is controlled by the Congressional Progressive Caucus, the official legislative arm of the Democratic Socialists of America. When the US Communist Party and US Socialist Party failed in efforts to work outside of America’s powerful two party system, leaders within both parties left those two failing parties and formed the Democratic Socialists of America, designed to work from within the two party system. 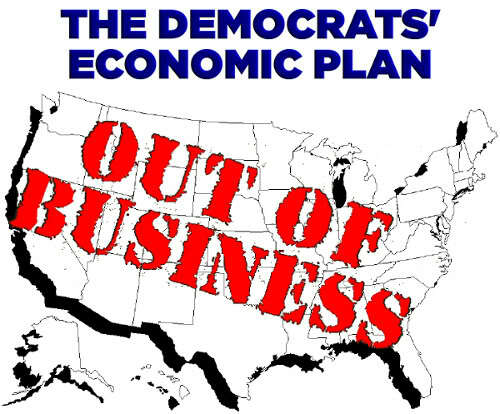 They chose to work from within the Democrat Party, which was already attempting to align itself as a “people’s party,” funded largely by labor unions, controlled by the Democratic Socialists of America. They were successful in doing so via their legislative arm, the Congressional Progressive Caucus, which includes most members of the Congressional Black Caucus, 30 of 42 members to be exact. 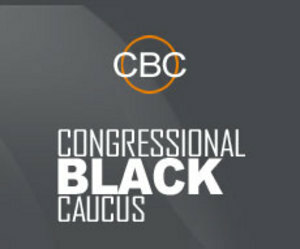 The problem with the Congressional Black Caucus is not the color of its members’ skin. The problem with the Gay Rights movement isn’t the fact that its members are Gay. The problem with the anti-war movement isn’t that its member’s oppose war of any kind for any reason. The problem with the Women’s Lib movement isn’t that women seek equal Rights under the law. The problem with ALL if these movements is the reality that they were ALL long ago hijacked and exploited by the Democratic Socialists of America, once operating under the respective Communist Party USA and Socialist Party USA. OBAMA MISSING PART OF HIS BRAIN-NO BIRTH CERTIFICATE-NO COLLEGE RECORDS-BRAIN SURGERY-AND HE HAS HIS FINGER ON THE NUKE BUTTON-WHAT IN THE HELL WAS AMERICA THINKING WHEN THEY ELECTED THIS UNKNOWN TO THE MOST POWERFUL POSITION IN THE WORLD? Questions like – is Barack Obama actually American? Is he a Muslim? Is he actually an alien from another planet? – have frequently been asked. 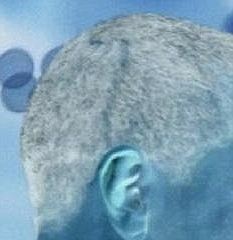 The next question circulating on the internet – has President Obama had brain surgery? Internet blog sites, conspiracy theorists and forums are awash with rumours as to what those mystery scars on the president’s head are from. Ben Hart, a blogger for Escape The Tyranny a website which presents itself as a Social Network & Forum For Conservatives, said: ‘Obama’s almost done with his first term, and we still know almost nothing about the background of the President of the United States. ‘Whatever happened to create that scar, it was clearly something serious. Was it a brain operation? Has it affected his thinking? Speculation about different aspects of Obama’s life first gathered momentum when questions over his actual birthplace started to emerge, with many believing he was born in Kenya rather than Hawaii, as he has stated. A spokeswoman from the White House said they were not willing to comment on such claims, saying they were ‘ridiculous’. Countless neurosurgeons said it is ‘not their place’ to comment on whether or not distinctive scars on the President’s head are as a result of brain surgery. What’s going on in Minnesota? It seems to be on its way to be America’s first Somali-Muslim state. First we’ve been watching the drama at Minneapolis Airport where Somali-Muslim cabdrivers are demanding the right to refuse service to passengers who violate Islamic law — Sharia law. These would be people carrying bottles of alcohol or who have a dog traveling along, such as a blind person with his or her seeing-eye dog. Then we have the situation with Target where Muslim cashiers refused to handle a package of bacon at the checkout stand. Target has now reassigned those people so they don’t have to handle pork, which means that Target has agreed to go along with Sharia law. Then news today that in a suburb of Woodbury a man and a woman were found with a thousand pounds of khat. What is khat you might ask? It is a mildly hallucinogenic drug which is a favorite of Somalis. When I was in Somali the biggest crowds at the outdoor markets were always around the khat stall, where a new load of the leafy drug had arrived from the bush country or from neighboring Kenya. All these indicators say one thing very dramatically: Somalis coming to Minnesota are not assimilating. They are bringing the Muslim culture of that desert country to Minnesota’s snowy woods. They may have to wear warmer clothing, but the Somalis want Islamic law just like back home. And they want the same illegal drug they had back home, too. Minnesota is famously liberal and now all eyes are on the state to see how voters there react to this onslaught against their culture and law. Are Minnesotans going to be so open-minded they say, sure you can have a different kind of law here, just for you and your people. We don’t mind. We’ll pretend we don’t notice. There is such a thing as carrying politeness too far. What Minnesotans must say is this is America. 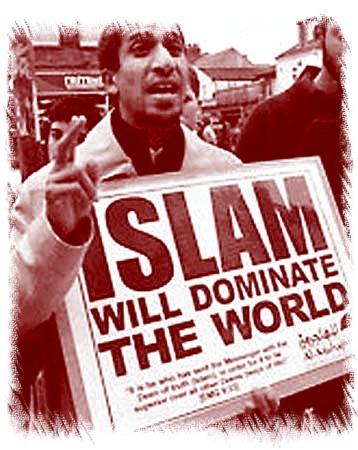 We already have law here, and if the Somalis wanted to live under Koran law, Sharia, they could have stayed in Somalia. Former Minnesota Gov. 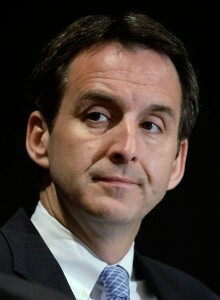 Tim Pawlenty, who is positioning himself as a possible GOP presidential candidate in 2012, says he has no interest in pursuing questions about Barack Obama’s eligibility, because CNN reported that its staff members saw the president’s birth certificate. “A ‘birth certificate’ and a ‘certificate of live birth’ are in no way the same thing, even though in some cases they use some of the same words,” Trump staffer Thuy Colayco told ABC in a note accompanying the copy of the long-form certificate. In Obama’s case, Hawaii’s loose laws would have enabled a family whose child was born outside to make a false declaration and obtain a “certification of live birth” indicating a Hawaii birth. Left-leaning media outlets immediately criticized Trump when he released his short-form certificate, saying it didn’t prove anything, and he responded with the fuller document. “Scratch this Kool-Aid Kid off the list of candidates for president. Bad enough we got an Empty-Suit now, we don’t need a gullible fool as the next one,” wrote one. Pawlenty’s comments came only a day after Trump pushed the dispute to an even higher level, explaining his concern that Obama’s presidency could be “illegal” if legitimate proof is not provided demonstrating the commander in chief is a natural-born citizen of the U.S.
Trumps remarks came in a phone interview with Greta Van Susteren of the Fox News Channel. 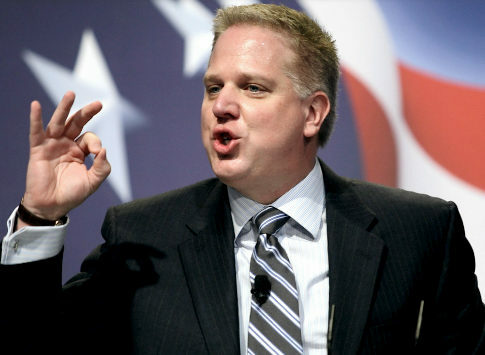 IS GLENN BECK THE MODERN DAY JOSEPH McCarthy? The opening of the KGB archives and the release of the VENONA intercepts (decoded Soviet KGB and GRU traffic) proved that in the 1950’s Senator Joseph McCarthy was absolutely right about the extensive Soviet penetration of the U.S. government in all the most sensitive sections and its danger to America. According to the KGB archives, the NKVD had 221 agents in the Roosevelt administration in April 1941 and the Soviet military GRU probably had a like number. He was proved right that the Communist Party, U.S.A., was an arm of the Soviet intelligence apparatus and the Soviet Union considered the U.S. as their “main enemy”. His liberal critics in academe and the mainstream media, who denied there was Communist subversion and made excuses for it, were proved absolutely wrong! This should have discredited the liberal ideology and those who mouthed it. Because the left had no answer or effective reply to the challenge McCarthy posed, they engaged in personal destruction — they smeared and demonized McCarthy because he was truth. 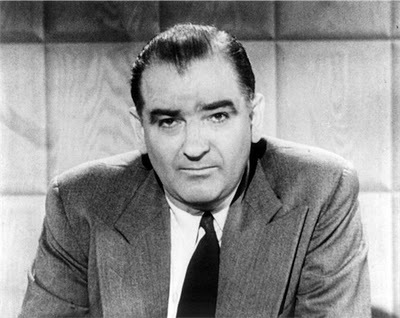 Nearly 40 years after the death of Senator Joseph R. McCarthy, twice-elected United States Senator from Wisconsin, the term “McCarthyism” is still widely used as a convenient epithet BY THE SOCIALIST LEFT TO TAG ANY CONSERVATIVE/AMERICAN THAT DOES NOT AGREE WITH THE DEMOCRAT/SOCIALIST/MARXIST/COMMUNIST AGENDA, the left looked at McCarthy as evil and corrupt for shining the light of truth on the Democrats/Hollywood they coined the word McCarthyism as a way to in their demented Communist minds to make the truth about Communism LOOK/SOUND evil and despicable in the world of politics. However, it is quite clear that not one critic of McCarthy in a hundred has the slightest idea of what he said and did during that controversial period from 1950 to 1954. We need to be vitally concerned about the issues he raised because virtually nothing has been done to deal effectively with those issues since the mid-1950s. Although his judgeship exempted him from military service, McCarthy enlisted in the Marines and was sworn in as a first lieutenant in August 1942. 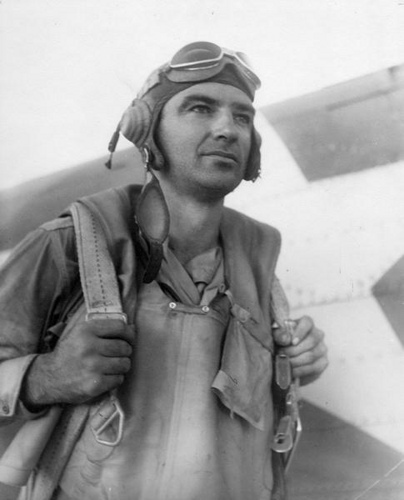 He served as an intelligence officer for a bomber squadron stationed in the Solomon Islands, and also risked his life by volunteering to fly in the tail-gunner’s seat on many combat missions. An ABC television movie about McCarthy in the late 1970s was entitled “Tail Gunner Joe” to belittle his military accomplishments, but the official record gives the true picture. Not only were McCarthy’s achievements during 30 months of active duty unanimously praised by his commanding officers, but Admiral Chester Nimitz, commander in chief of the Pacific Fleet, issued a glowing citation to then Captain McCarthy. In 1946, Joe McCarthy upset incumbent U.S. Senator Robert La Follette in the Republican primary and went on to beat Democrat Howard McMurray in the general election. When McCarthy scored his surprising victory over La Follette, the communists did not file the petitions for their candidate, but rallied instead behind McMurray. Thus, Joe McCarthy defeated a Democratic-Communist Party coalition in 1946. In the fall of 1949, three men brought to McCarthy’s office a 100-page FBI report alleging extensive communist penetration of the State Department. The trio had asked three other senators to awaken the American people to this dangerous situation, but only McCarthy was willing to take on this volatile project. Communist infiltration of the State Department began in the 1930s. On September 2, 1939, former communist Whittaker Chambers provided Assistant Secretary of State Adolph Berle with the names and communist connections of two dozen spies in the government, including Alger Hiss. Berle took the information to President Roosevelt, but FDR laughed it off and said that some of his friends were communists. PATRIOTS-TODAY THIS VERY DAY WE HAVE A MODERN DAY McCarthy a man who is shining the light of truth on the SOCIALIST/MARXIST/COMMUNIST in our government in our country. This man, has taken a lot of hits but he continues to research and inform we Americans who pay attention to what is going on in our country our government. PATRIOTS, our congress can’t even get 60 billion in budget cuts -when in fact we to start with 500 billion a year for least three years. PATRIOTS, the days of riding high on the HOG are over, WE ARE BROKE, our government over the decades has sold our country out-both sides of the isle are guilty! WE ARE BROKE, CHINA has all the money our money that we as a nation have squandered away. 1. As a people as Americans collectively insist NO—ORDER the Congress to establish a austere program to balance the budget and get our country back to being the leader of the free world and get our financial house in order. BALANCE THE BUDGET and enforce the law,take Harry Reid and his Communist minions to task,hell throw them in jail if they fail to live up to the sworn constitutional duties. FOLKS IT’S PUT UP OR SHUT UP TIME!